This time of year is always very busy for me. I always have many orders from my main site: A Crafty Cupcake. While I am unable to update here with new Geekery, I thought I would link to other talented artists. 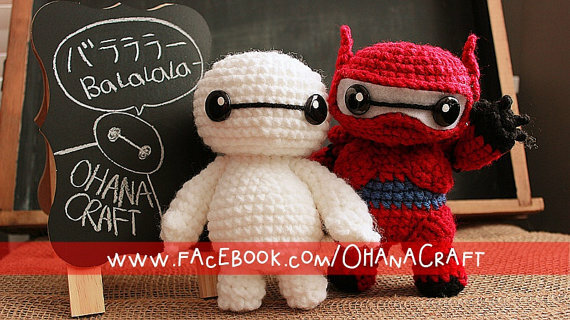 One of my favourite amigurumi creators is Ohana Craft. These creations are truly amazing. Check out this adorable Baymax.